Bosnia and Herzegovina, with a 15-mile Adriatic Sea coastline, is a country is South-East Europe bounded by Croatia, Serbia, and Montenegro. The country has a total land area of just under 20,000 square miles and a population of around 4.6 million – the population density is well above average at over 200 per square mile. It became an independent country in 1992 following the break-up of Yugoslovia. The GDP (ppp) stands at a modest $4500 although it has one of the highest income equality ranks – military industries and other public sector employment along with farming accounts for this. Politically, the country is divided into two entities - Republika Srpska (Serb - 49% of total area) and the Federation of Bosnia and Herzegovina (Bosniak-Croats - 51% of total area). The Brcko district, a third entity in the north created in 2000 out of land from both entities is a prosperous multiethnic area represents the hope of the future of the country. Bosnia and Herzegovina consists of the plains in the Northeast and Southern regions all else being hilly and/or mountainous. The best time to visit is from May to September; ski conditions exist between December and February. Visitors come to partake in the religious and cultural aspects and take in sights of historical importance. 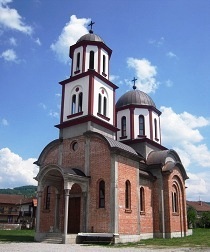 The cities of Sarajevo, Banja Luka, Tuzla are very popular among the tourists. Stari Most, The Shrine of Medugorje, the Neretva river with its endemic species and canyons are some of the star–rated attractions of the area. Its cuisine is a blend of Turkish, Middle Eastern and other Mediterranean cuisines. Bosnia and Herzegovina – Bradt Travel Guide 978-1841623177 $19 Part 1 is an introduction to the country followed by practical info such as food & lodging, itineraries, and other tourist information. Part 2 is a complete region-wise coverage of the country and follows with excellent regional maps. Bosnia and Herzegovina – Culture Smart – The essential guide to customs and culture 978-1857334845 $10 A great guide especially for people planning to stay more than a few days. Ensures you are aware of the basic manners, common courtesies, and sensitive issues. Not My Turn to Die: Memoirs of a Broken Childhood in Bosnia 978-0814401651 $21 The story of the Serbian author Savo Heleta’s struggle for life during the Bosnia-Herzegovina war. As Bosnian Serbs attacked their primarily Muslim city of Gorazde, his family became objects of suspicion overnight. The books message is reconciliation to counter revenge and hatred. Bosnia-Herzegovina Map 978-3850843362 $15 Place names with index and transportation detail makes it a useful tool when traveling or travel planning. A set (Scott #30 to #45) of sixteen stamps released in 1906 showing local scenes in single colors and Emperor Franz Josef in the highest denomination stamp. The designs show view of Deboj, view of Mostar, Piva Gate Jajce, Narenta Pass and Prenj River, Rama Valley, Vrbas Valley, Old Bridge or Mostar, Bey's Mosque of Sarajevo, Donkey Post, Jezero and tourists pavilion, Mail Wagon, Bazaar at Sarajevo, Postal Car, Saint Luke's Campanile of Jajce, and Emperor Franz Josef. The set catalogs for around $25 MNH or used. A long set of twenty one stamps released between 1912 and 1914 showing Emperor Franz Josef (Austro-Hungary). The set (Scott #65 to #85) catalogs for around $170 MNH or used. The highest denomination dark-ultra-gray 10K stamp is the most valuable at around $100. An important semi-postal set released in 1916 (Scott #SP1 and #SP2) showing a wounded soldier and a blind soldier being helped by a woman. The designs capture the reality of the times very well. The set is very affordable and can be had for around $2 MNH or used. A set of eighteen stamps (Scott #105 to #122) released in 1917 showing Emperor Karl I. The set catalogs for around $40 MNH and $60 used. After independence in 1992, the three entities that form the country of Bosnia & Herzegovina issued their own stamps. One significant issue of Bosnia & Herzegovina after independence is the set of seven stamps (Scott #210 to #216) showing the Main Post Office of Sarajevo. The designs aim to capture the tumultuous civil-war period – the demolished interior, pre-civil war exterior, and post-war exterior serve as a constant reminder of the destruction caused by ethnic conflicts. The set catalogs for around $6 MNH or used. A stamp released on February 10 1994 to mark the formation of Bosnian-Croat Administration. The beautiful stamp (Scott #11) in multicolor catalogs for around $4 MNH or used. A stamp released on May 25 2003 to mark the World Wine Day. The stamp (Scott #102) catalogs for around $2 MNH or used. It uses a simple design showing different types of cork-screws. A beautiful set of three stamps released in 1994 showing monasteries. The set (Scott #37 to #39) show the following designs - Tavina Monastery, Mostanica Monastery, and Zitomislic Monastery. The catalog value is around $15 MNH or used. Another beautiful Costumes Set of four stamps released in 2001. The set (Scott #145 to #148) catalogs for around $5 MNH or used. Coins $2 and up Common UNCs from the 1990s and 2000s start around $2. Commemorative Silver Proofs from the 1990s start around $40. Gold coins denominated at 10000 Dinara from the 1990s go well into the 100s. Paper Money $1 and up Common UNC Dinara banknotes from the early 1990s start around $1. Specimen issues from the early 1990s start around $15. 2a replacements and rare dates start around $50. UNC bundles can go into the 100s. Bosnian designed potteries are always in demand. Other souvenirs are art and military related objects. Art $10 and up Historical photos & prints from the 19th century with war scenes and costumes as the primary subjects. Souvenirs $10 and up Police and army patches start around $10 with military helmets and gendarmerie belts fetching a premium. I have a stap from 1946 and it from a letter sent by a solder in the yugoslav army. I keep it in a glas frame on my wall.